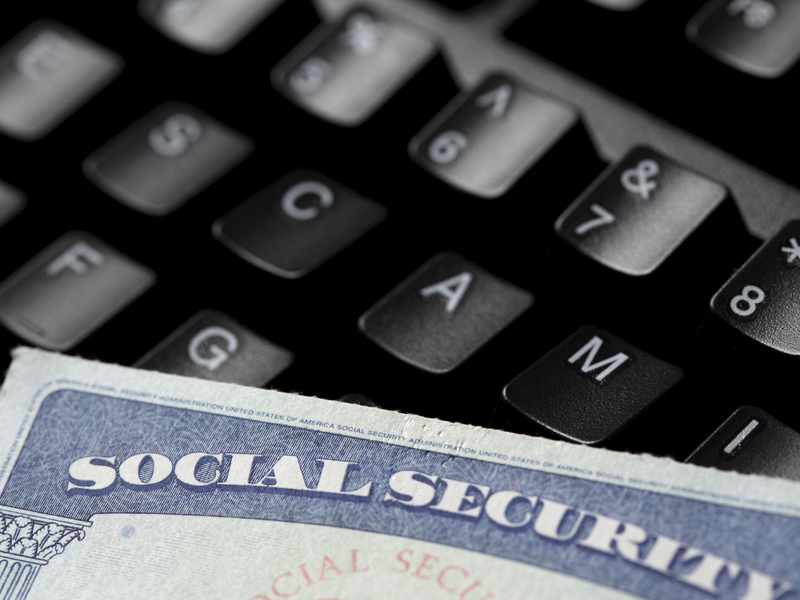 To help cut down on fraud, Congress is limiting access to the Social Security Administration's data about people who die in the United States each year. The "Death Master File." It sounds like a ledger the Grim Reaper might keep, but in reality, it's a computerized list containing some 86 million names and other data kept by the Social Security Administration. An obscure provision tucked into the budget deal that Congress approved last month would limit access to the list — and that has everyone from genealogists to bankers concerned. When someone dies, that person's Social Security number, name and dates of birth and death are passed on to Social Security by funeral homes, hospitals and families. The administration uses the information to make sure checks don't go out to the deceased and that survivors get the benefits they're entitled to. In 1980, a court ruling ordered the government to make the death master file, or DMF, publicly available. Now, anyone who pays the price can get access to all or part of the file — and that has unfortunately led to cases of fraud. Last month on Capitol Hill, Sen. Bill Nelson, a Democrat from Florida, cited the ordeal the parents of a young girl went through after she died of cancer weeks before her fifth birthday. "You can imagine how they'd felt when months later they learned that someone had used Alexis' identity, obtained from the death master file, to file a fraudulent tax return," he said. Congress estimates that limiting access to the death master file could save taxpayers more than $700 million in fraudulent tax refunds over 10 years. So last month, lawmakers clamped down on the DMF. Now, only those who are certified can see the information. That has librarians, genealogists, genetic scientists and other researchers who currently use the data more than a little worried — people like Gary Chase, who runs the Nurses' Health Study at Harvard. The survey has tracked the health and death of some 250,000 nurses for more than three decades. "If we follow women for all these years and we don't find out what happens to them at the end, it's like reading a long novel and you leave off the last couple of pages," Chase says. "We really want to know what happens in those last couple of pages." And it's not just researchers and scientists who use the data in the DMF. Big corporations do, too. Stuart Pratt, president and CEO of the Consumer Data Industry Association, a Washington trade group, says keeping track of who dies is a big deal for a lot of companies. "That's important for financial institutions to know, because there's forms of identity theft that are associated with individuals who are deceased," he says. "Identity thieves will sometimes scour obituaries and try to get information and try to open up accounts, even though an individual has recently died. "Pension benefits groups need access to the information, life insurance companies. So there's a lot of very positive uses of the data." Congress didn't entirely close off access to the DMF. It left it up to the Commerce Department, which administers the death file, to come up with a process to certify legitimate users. Pratt says his group will be closely watching the process. "If the exceptions are interpreted too narrowly, it will actually have a harmful effect," he says. The government has three months to come up with the certification process. Legitimate users worry that after that, it will be more difficult to find out everything — from where your great-grandfather was born to what diseases you might be at risk for because of your DNA. An obscure provision tucked into the budget deal that Congress approved last month has everyone from genealogists to bankers concerned. The measure would limit access to statistics the government keeps on deaths. The idea is to combat identity theft and tax fraud. But as NPR's Brian Naylor reports, this kind of data clampdown would have far-reaching implications. BRIAN NAYLOR, BYLINE: The death master file, it sounds like a ledger the Grim Reaper might keep. But in reality, it's a computerized list containing some 86 million names kept by the Social Security Administration. When people die, that information is passed on to Social Security by funeral homes, hospitals and families. It includes the Social Security number, name and dates of birth and death. Social Security uses the information to make sure checks don't go out to the deceased, while survivors get the benefits they are entitled to. In 1980, a court ruling ordered the government to make the death master file publicly available. Now, anyone who pays the price can get access to all or part of the file. That has unfortunately led to cases of fraud. Democratic Senator Bill Nelson of Florida cited the ordeal the parents of a young girl went through after she died of cancer weeks before her fifth birthday. SENATOR BILL NELSON: So you can imagine how they felt when months later they learned that someone had used Alexis' identity, obtained from the death master file, to file a fraudulent tax return. NAYLOR: Congress estimates that by limiting access to the death master file, it could save taxpayers more than $700 million over 10 years in fraudulent tax refunds. So, last month, lawmakers clamped down on the DMF, as it's called. Now, only those who are certified can see the information. And that has librarians, genealogists, genetic scientists and other researchers who now use the data, more than a little worried - people like Gary Chase, who runs Harvard's Nurses' Health Study. The survey has tracked the health and death of some 250,000 nurses for more than three decades. GARY CHASE: If we follow women for all these years and we don't find out what happens to them at the end, it's like reading a long novel and then you leave off the last couple of pages. And that's - we really want to know what happens in those last couple of pages. NAYLOR: It's not just researchers and scientists who use the data in the DMF. Big corporations do, too. Stuart Pratt heads the Consumer Data Industry Association, a Washington trade group. Pratt says keeping track of who dies is a big deal for a lot of companies. STUART PRATT: That's important for financial institutions to know because there's forms of identity theft that are associated with individuals who are deceased. Identity thieves will sometimes scour obituaries and try to get information and try to open up accounts, even though an individual has recently died. Pension benefits groups need access to the information, life insurance companies. So, there's a lot of very positive uses of the data. NAYLOR: Congress didn't entirely close off access to the DMF. It left it up to the Commerce Department, which administers the death file, to come up with a process to certify legitimate users. Pratt says his group will be closely watching the process. PRATT: If the exceptions are interpreted too narrowly, it will actually have a harmful effect, rather than a beneficiary effect. NAYLOR: The government has three months to come up with a certification process. After that, legitimate users worry it will be more difficult to find out everything from where your great-grandfather was born to what diseases you might be at risk for because of your DNA. Brian Naylor, NPR News, Washington. Transcript provided by NPR, Copyright NPR.